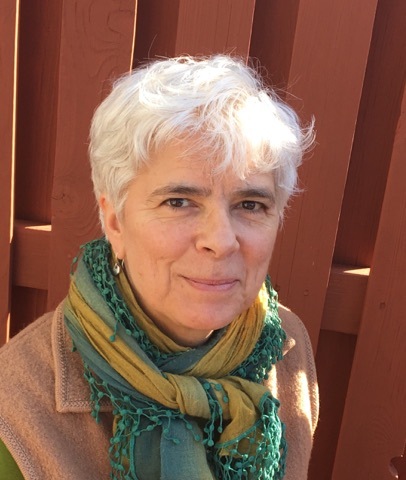 The poems of Lisa Vihos have appeared in numerous journals both print and online including Big Muddy, Bramble, Dispatches from the Poetry Wars, Forge, Mom Egg, New Verse News, Portage, Red Fez, Seems, and Verse Wisconsin. She has received numerous awards from Wisconsin People and Ideas and the Wisconsin Fellowship of Poets as well as two Pushcart Prize nominations. Her fourth chapbook, Fan Mail from Some Flounder, came out in 2018 from Main Street Rag Publishing. She is the Poetry and Arts Editor of Stoneboat Literary Journal and the Sheboygan organizer for 100 Thousand Poets for Change. She recently compiled the anthology, Van Gogh Dreams(HenschelHAUS Publishing, 2018) and co-edited with Dawn Hogue, From Everywhere a Little: A Migration Anthology forthcoming in 2019 from Water's Edge Press. Also in 2019, she is mid-stream in an ongoing project to design and build a children's reading garden in Malawi.